Everyone knew that Google has bought Motorola with a whooping USD 12.5 billion last year. Since then, most of us got excited on how the search giant changes the edgy hardware of the latter. Here comes the Moto X smartphone, a mid-range device that appeals to masses with its wider selection of variants. 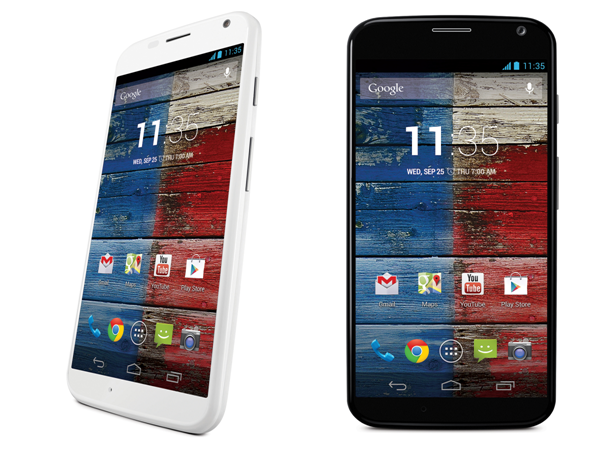 Google marketed the Moto X to be “made in the USA” which would make sense since this is a made-upon-order phone. You decide on how your Moto X phone will look like with different variants and color combinations of front panel, back panel and accents. Obviously it’ll be a different story for those who are outside the United States. Spec-wise, the first lovechild of Google and Motorola will sport a 4.7-inch OLED display with 1280x720 pixel resolution. 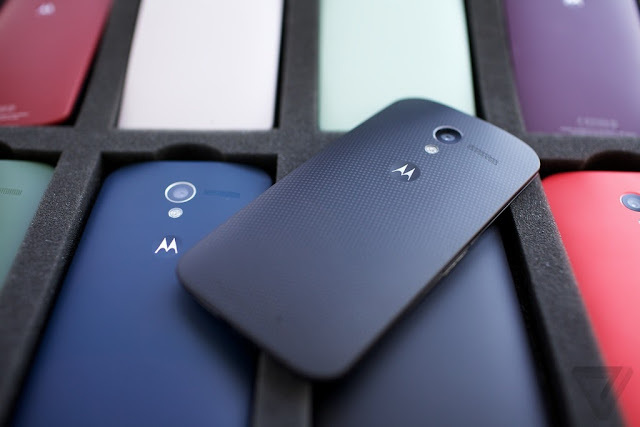 Battery is equipped with 2,200 mAh rating which Motorola boasts to have a full day of mobile service to users. It measures 129.3 x 65.3mm with depth that ranges from 5.6 mm to 10.4 mm that could lead us to a stunning HTC One-ish design. A 10MP rear camera is complemented with a minimalist Moto X camera app. There’s also a 2MP full HD camera on the front for your video chat sessions. Under the hood ticks the 1.7GHz dual-core Motorola X8 chip (a slightly modified Snapdragon S4 Pro) and Adreno 320 GPU. RAM is beefed up at 2MB with 16GB and 32GB configurations. Despite being under Google’s umbrella, the Moto X will NOT get the latest version of Android. Instead, it’ll run in a near stock Android 4.2.2 out of the box. One impressive feature is the voice recognition which translates into a hands-free Google Now. A random notification will also appear in your screen to display important updates. Like I said, you can mix and match: wide color variations of back panel, white or black front panel, accents and buttons. For now, it’s available in US for $199 on contract and will hit the Google Playstore soon with an approximate price of $600. Motorola may bring this X-phone offshore and hopefully in the Philippines.